With his magical suitcase in hand, Magizoologist Newt Scamander arrives in New York in 1926 for a brief stopover. However, when the suitcase is misplaced and some of his fantastic beasts escape, there will be trouble for everyone. 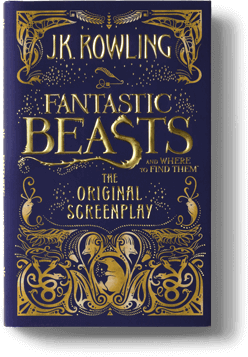 Fantastic Beasts and Where to Find Them is an epic, adventure-packed screenplay with a gripping narrative and a huge cast of characters. The film Fantastic Beasts and Where to Find Them received its theatrical release in November 2016 marking J.K. Rowling’s screenwriting debut.